You should note that a secondary keyword’s use goes beyond traditional SEO ranking. It enhances your content’s readability and indirectly contributes to key SEO metrics. 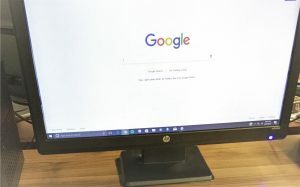 Google values user experience over all else, and the last thing user’s want to read is a page that says the same thing over and over again. Plumbing customers are too smart this day and age to be manipulated by low-quality content. They want to be engaged, and secondary keywords help engage them. Call for (877) 388-9884 secondary keywords for plumbers. Secondary Keywords Deliver Support and Rankability to Boost SEO Results. Failure to adhere to the guidelines above will cause your page to lose significant ranking potential. What you want to avoid at all costs is attempting to rank for completely different concepts on the same page. For example, don’t go for “plumbing services” as well as “water restoration” on the same page. Each of those concepts should have their own page. Secondary keywords for “plumbing services” would be “affordable plumbing” and “reputable plumber”, while “sewage removal” and “water damage” would be the secondary terms for “water restoration”. There are more than a few options for internet marketing available online. As a plumbing contractor, you must decide what you value most in a promotional service. For Plumbing Webmasters, we have a uniquely specific advantage over other firms, in that we focus directly on your industry and target audience. We have years of experience in website design, content creation, and SEO tactics to produce measurable results. Knowing you have an ally that is familiar with your industry should give you an extra boost of confidence in your marketing services. 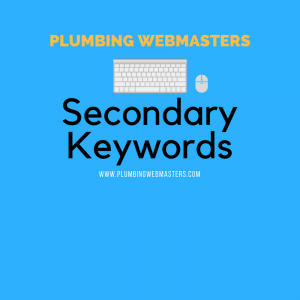 Secondary keywords are part of what we do here at Plumbing Webmasters, but we do much more as well. In addition to keyword research, we offer SEO, PPC, social media advertising, and structured data markup. Our services really are full-spectrum and account for every aspect of your online presence. We stay on top of the latest trends including Google algorithm updates to ensure that your marketing is always one step ahead of the curve. To learn more about secondary keywords, or to sign up for online marketing services, give us a call at (877) 388-9884. Updated on April 4, 2019 at 4:12 pm by Plumbing Webmasters.